by Arushika Aggarwal, Year 12, The Tiffin Girls’ School, Surrey. Being born and brought up in an Indian household, chillies have always been an essential ingredient in our daily meals. It just so happens that the chilli pepper has a fascinating evolution behind it, and the way it reacts with our bodies to allow us to experience a unique hot and burning sensation is unparalleled. Responsible for the heat of chillies is a family of compounds called the capsaicinoids, with the dominant compound being capsaicin, a vanilloid. The spiciness is a defence mechanism that some peppers develop in order to suppress a microbial fungus caused by insects. Without this protection, the fungus would destroy the plant’s seeds before they can be consumed by birds and widely distributed. The TRPV1 receptor, responsible for the sensation of scalding heat and pain in mammals, is insensitive to capsaicin in birds, therefore birds are able to eat the seeds with no pain. Unlike other plants, chilli peppers increase their chemical defence levels as they ripen, and become spicier, and they are able to do this since birds are unaffected by capsaicin, making chillies in possession of a remarkable defence mechanism. 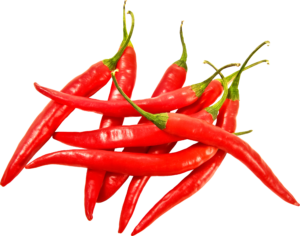 Spiciness isn’t a flavour- it is simply the result of the activation of pain receptors in the body. 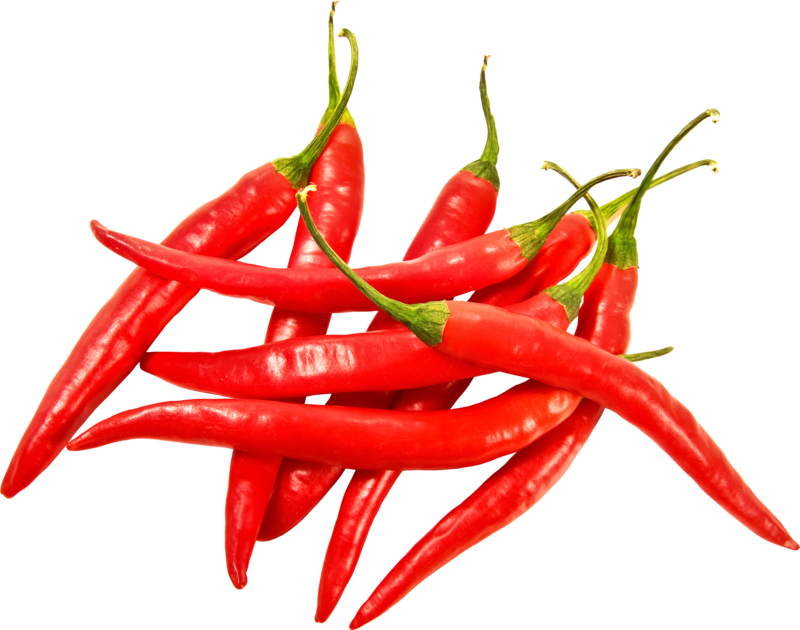 When ingested, the capsaicinoids found in chillies bind to a receptor (TRPV1) in the mucous membranes of the mouth, which is stimulated with heat and physical abrasion. When TRPV1 is activated, it permits cations to pass through the cell membrane and into the cell. The resulting depolarisation of the neuron causes a signal to be sent to the brain through a series of electrical impulses, and hence, a burning sensation is produced. These signals to the brain give a ‘false’ sense of overheating, therefore the hypothalamus, the thermoregulation centre of the body, activates millions of sweat glands to start producing sweat following capsaicin ingestion. Sweat is released from the glands, and is evaporated, thereby cooling down our body. So despite this, why is it we cannot resist the fiery blast on our tongue? 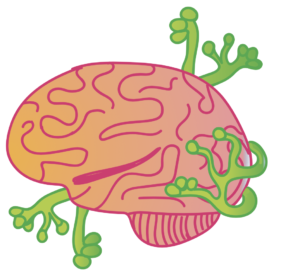 The pain produced causes the brain to respond by releasing another neurotransmitter known as endorphins, which are the body’s natural way of relieving pain by blocking the nerve’s ability to transmit pain signals. Additionally, the neurotransmitter dopamine, responsible for the sense of reward and pleasure, is also released. In essence, this is why eating spicy food can create a euphoria similar to ‘runner’s high,’ and imparts a sense of ‘well-being’ in the body. Furthermore, if capsaicin is ingested repeatedly, the depletion of the receptors can effectively allow you to build up a tolerance, thus making spicy foods easier to eat. However, for those who do not enjoy the fire of chillies, why are we told to reach for a glass of milk, rather than water? The long hydrocarbon tail of the capsaicin molecule makes it insoluble in water, however, readily soluble in alcohol and oil. Unfortunately, the small percentage of alcohol in most alcoholic drinks is not substantial enough to have an impact. To relieve the burning sensation, milk is a more suitable option, since milk contains a class of proteins called casein, which is lipophilic and envelopes the fatty capsaicin molecules, successfully washing them away and preventing them from further stimulating the receptors in the mucous membranes. One way in which the heat of chillies can be tested is the Scoville scale. It is a taste test in which a measured extract of the dried pepper is incrementally diluted with a solution of sugar and water, until the heat is no longer detectable. This method is far from precise, hence the other method is the rather more precise procedure of high performance liquid chromatography (HPLC). In this variety of chromatography, a solvent sample is forced through a column under high pressure, to achieve separation of the mixture. Chillies are an essential part of many foods and cultures throughout the world, and the result of their spiciness is all due to evolution, with over 3,000 varieties of chilli available across the globe, varying in size, shape, colour, heat, and flavour. As scientists continue to discover more about chilli peppers, they will forever feature prominently in many people’s daily soups, stews and stir fry’s.